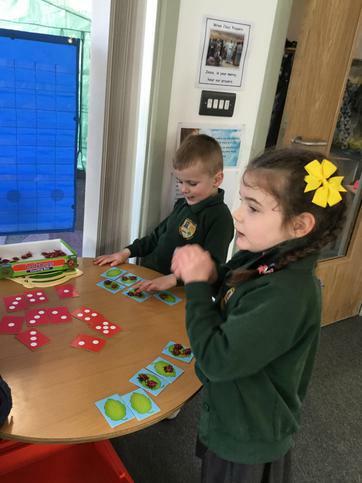 Wren class have been carrying out lots of investigative maths recently, spotting numbers within numbers. 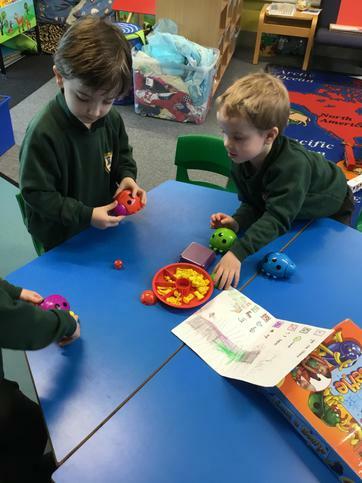 We have been working out how a number can be made up of 2 smaller groups added together, using pine cones, toy cows, blocks and counters. The children are now used to being asked to explain their ideas using a 'because' sentence. Great job, Wrens! 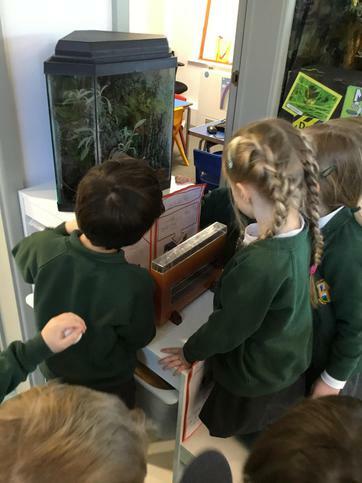 We have recently studied different habitats on earth, so it was great to think about how different life is in space. We produced amazing Nebula art with chalk and paint, made a bubble universe and created our own 3D constellations, which we had lots of fun naming. It really was a brilliant day! 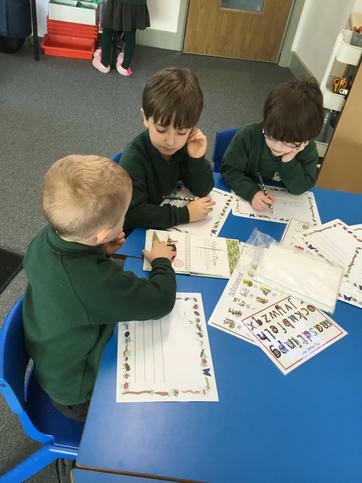 We read 'Duffy's Lucky Escape!' about animals becoming poorly because of all the plastic rubbish in the sea. We researched what inventors have been making to try to clean up the sea and decided to see if we could separate plastic from water. 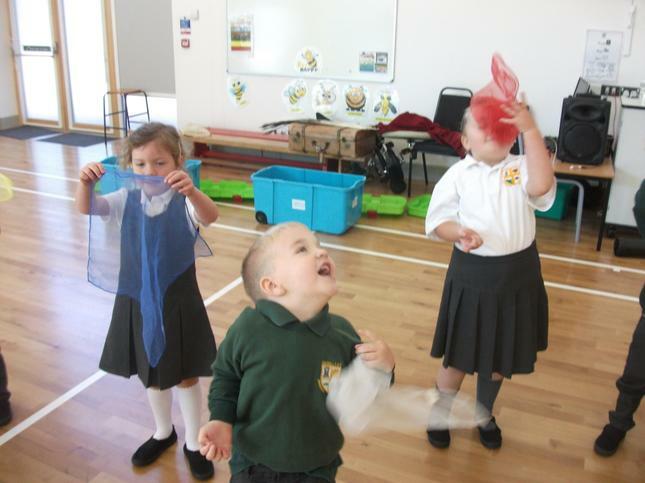 We tested a large funnel, small funnel with filter paper and a sieve. Which one do you think worked best? 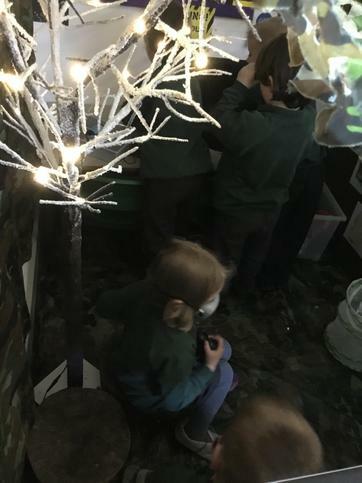 The children also sorted through our rubbish bin, separating the rubbish into plastic, glass, paper and metal. Finally, we wondered how we could contribute towards making the world a better place and presented our ideas to each other. 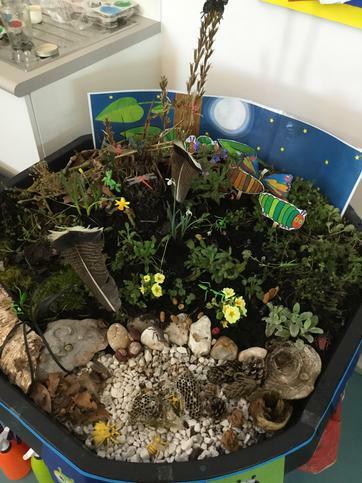 Well done Wren eco-warriors! 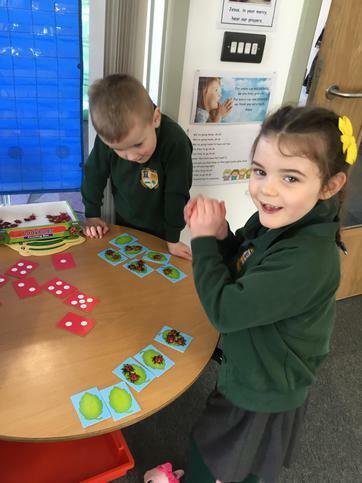 We have been getting to grips with money this half term. We have studied the shape, colour and value of different coins. 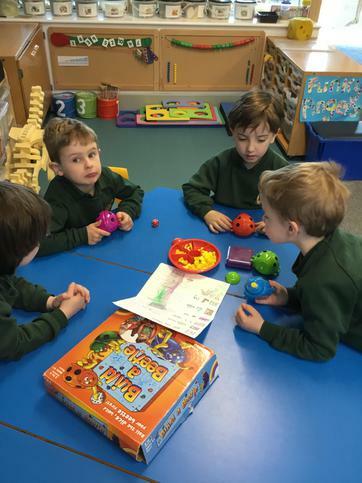 The children have enjoyed a little retail therapy in the Wren Class pet shop and are also taking it in turns to 'buy' their morning snack each day. 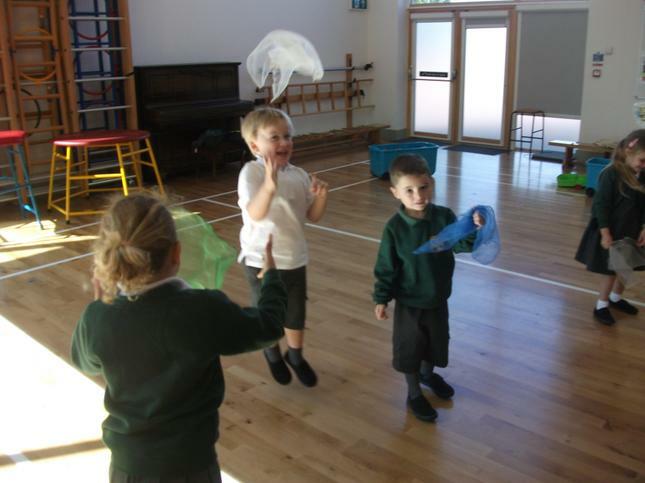 We read 'Commotion in the Ocean' and had lots of fun dressing up, playing in our ocean role play areas and producing ocean themed art. Best of all we shared our favourite books with each other and explained why we love them. We were very busy mixing up large quantities of batter. 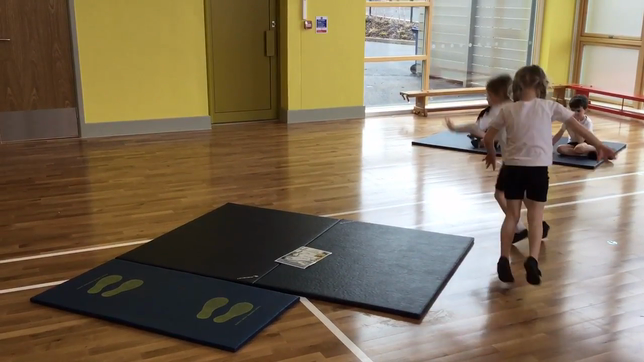 The children took part in our Wren pancake race competition and had fun timing each other! Wren class are learning how to look after animals by taking their turn to feed and look after the hens. Well done, Wrens. 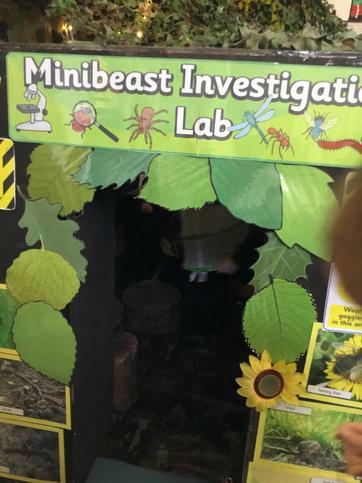 Amazing Animals and Mega Mini-beasts! 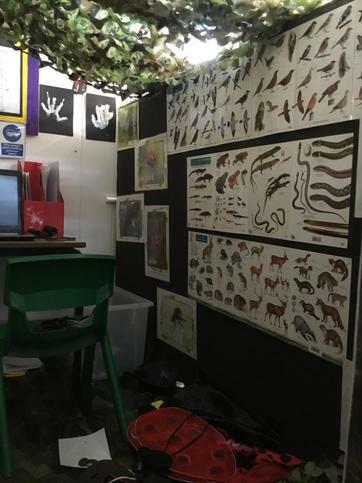 We discussed how to stay safe when using the internet and the children loved using the i-pads to research their favourite animals. We had a wonderful visit to The Elms school in Colwall, where a local vet taught us how to take care of a horse. The children loved listening to the horse breathe through a stethoscope and helping the vet to bandage the horses poorly leg. After our talk we had a fantastic tour around The Elms school farm. We especially liked collecting eggs and visiting the pigs! 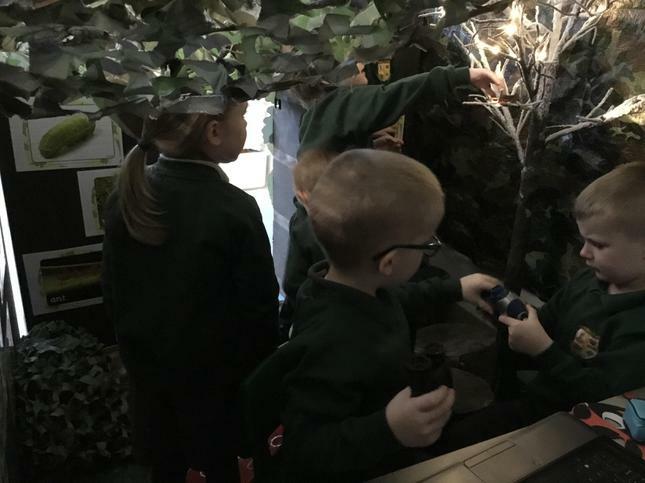 We had a wonderful trip to Bristol Zoo and enjoyed finding out how to look after some of the exotic creatures at the zoo. 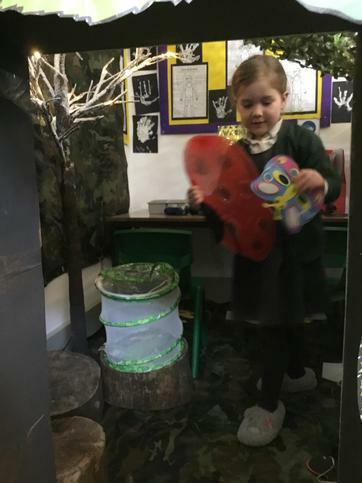 How many animals can you spot in our pictures? 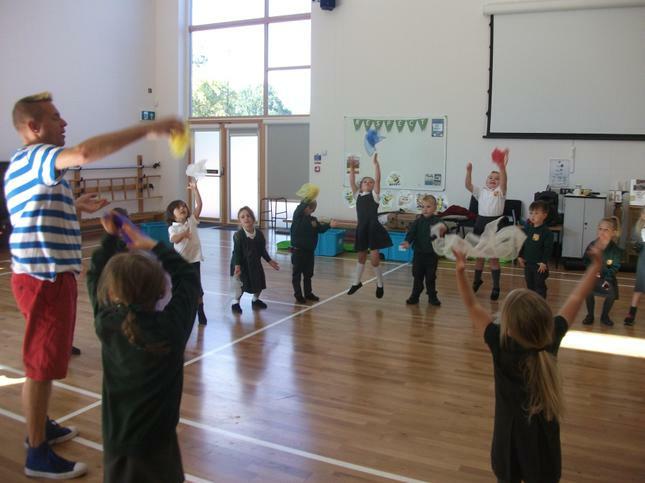 We had great fun in PE today, playing the team game craters and volcanoes. 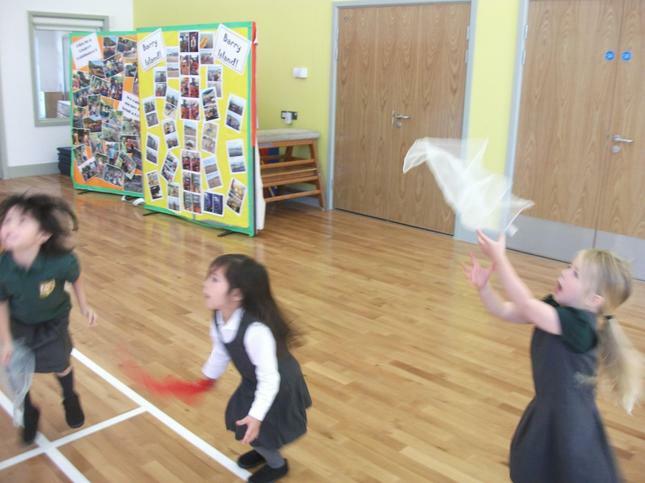 Not only did the children burn off lots of energy but it involved lots of counting and working out who had won and lost. Well done, Wrens! We have been learning about safety around fires and what it's like to be a fire fighter. Thanks to local fireman, Mr Phillips, for showing us his apparatus. Mr Phillips loved the Wren class fire engine, proving you are never too old to play! We had a fantastic presentation from the community police. The children asked some fantastic questions but particularly loved checking out the police van. We now have some budding Wren police officers! 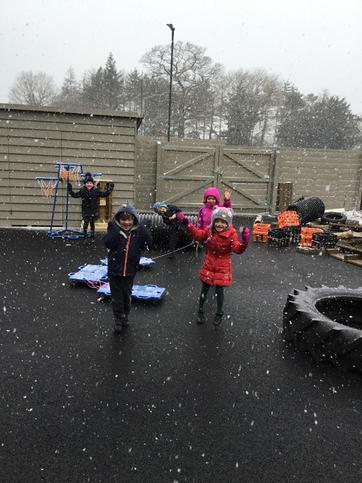 We have made the most of the winter weather this term. 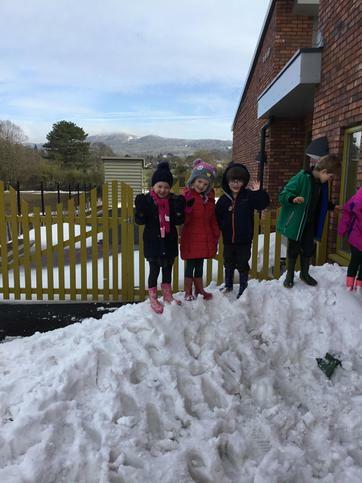 Have a look at our icy and snowy outdoors play! 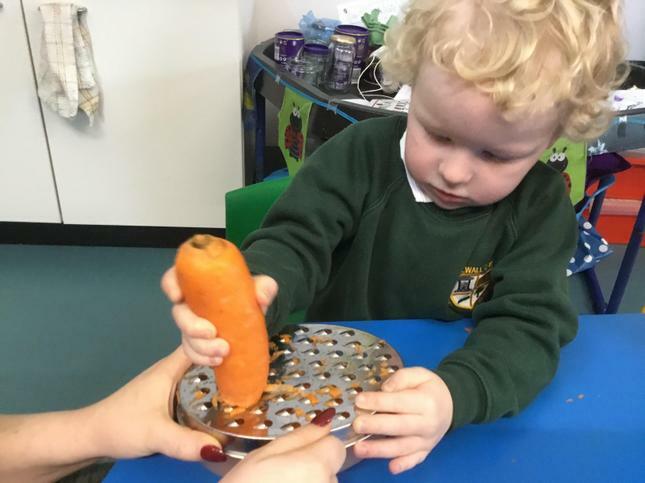 The children enjoyed sorting Mrs A's shopping basket into healthy food choices, which we can eat lots of, and unhealthy choices that make super treats! 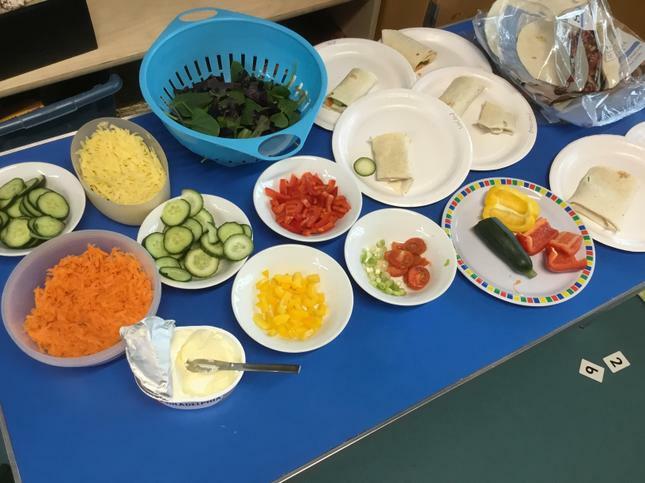 Inspired by meeting a chef, the Wrens decided to make some healthy wraps. First they wrote out their Healthy Wrap shopping list. 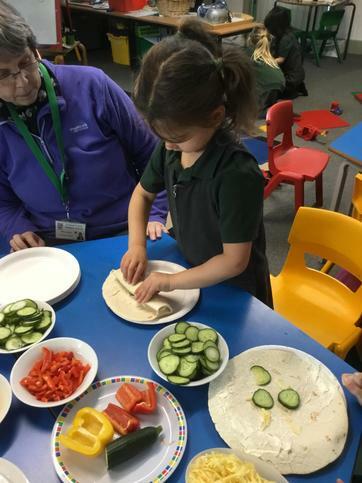 They demonstrated fantastic cutting, grating, spreading and rolling skills and made some fascinating combination wraps. 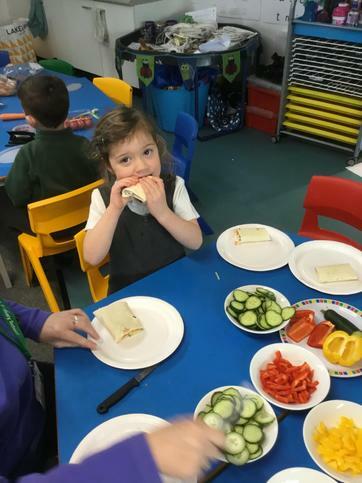 It was lovely to see the children branching out and testing a variety of salad vegetables. Well done, Wrens! Thank you, to Mr Haywood for coming to talk to Wrens about his career as a chef. 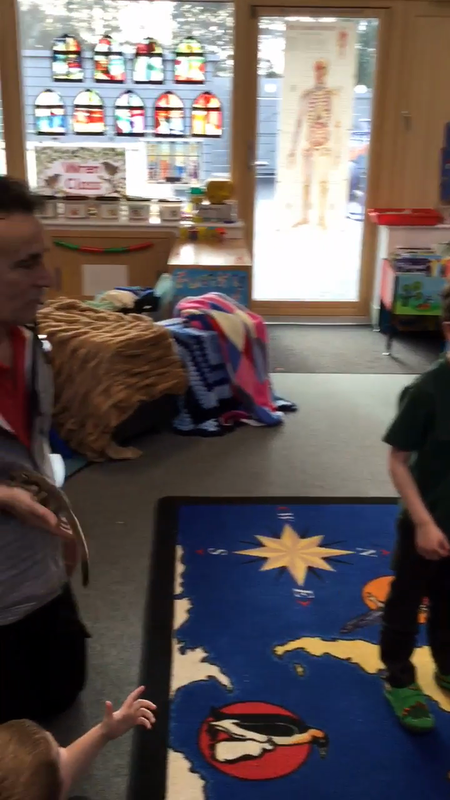 The children were fascinated by his extensive collections of knives! They really enjoyed touching and smelling some unusual spices and guessing how Mr Haywood might use them. The children asked some amazing questions as well as displaying fantastic listening skills. I think Mr Haywood was a big hit as the children told me they’d had “the best day ever”! 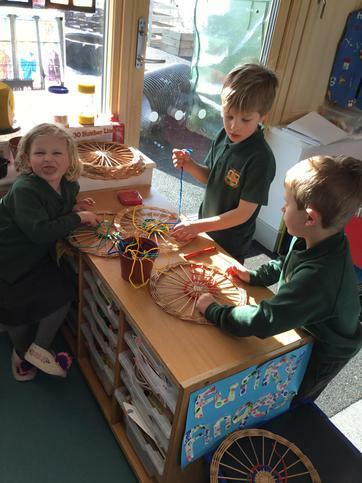 The children have been busy mopping brows, bandaging limbs and driving ambulances in the Wren Class hospital. 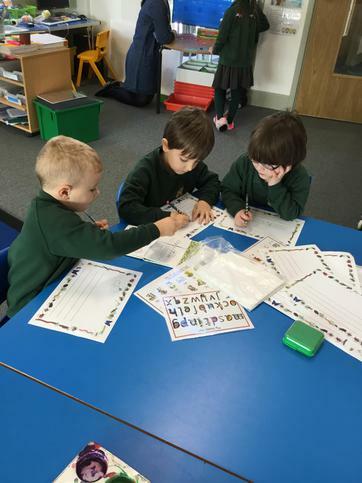 The children have been thinking about how to look after others and have become experienced at completing forms – Ambulance request form, patient detail form and telephone messages. The children have really impressed us with their super writing skills. Fantastic job! The children have been sharing their hopes and dreams with each other. 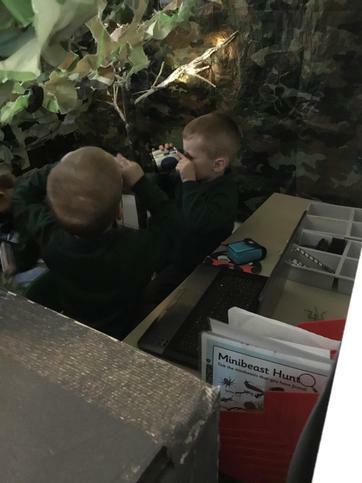 The future is safe in Wren Class’s hands. We have an army of astronauts, policemen, firefighters, doctors, singers and ballerinas to explore, care and entertain us in the future. We have been thinking about how to celebrate New Year. Look out for your 2019 Wren Calendar featuring the four seasons. See you in 2019! 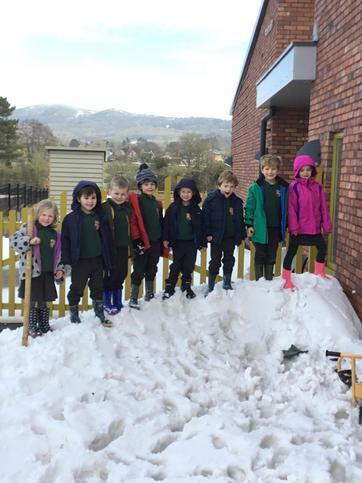 Well done, Wren Class. 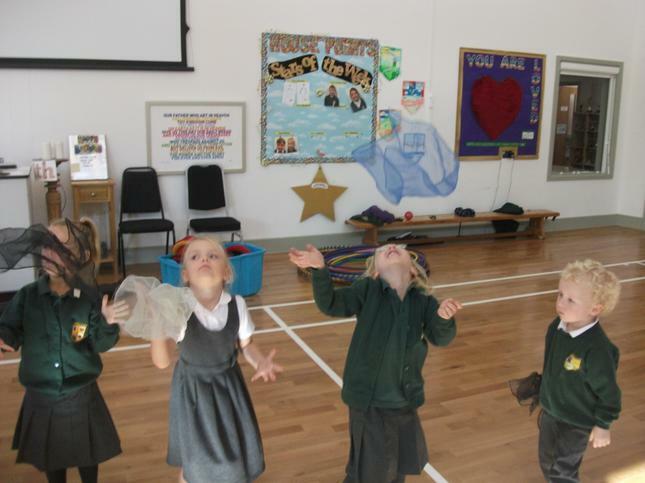 The children put on a stunning nativity performance with wonderful singing, dancing and acting. 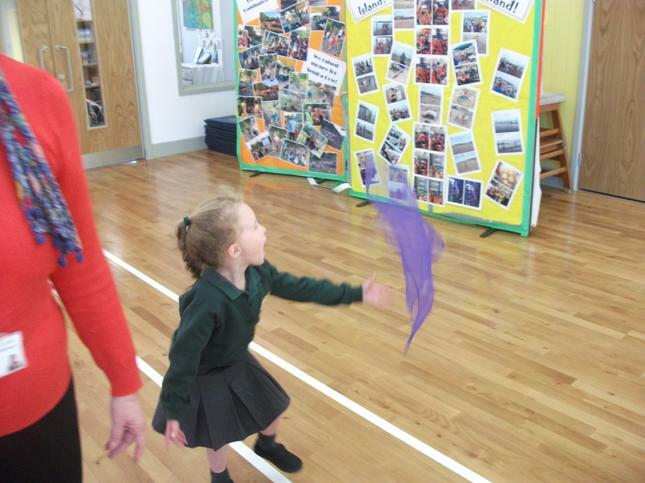 The whole school were so impressed with how well the children remembered their words. Happy Christmas to all! We have had a great day decorating the classroom today. We have been working on our present wrapping skills in Santa's workshop. This week has also been devoted to creative Christmas crafts. We hope you like our Christmas penguins and festive tea light lamp. 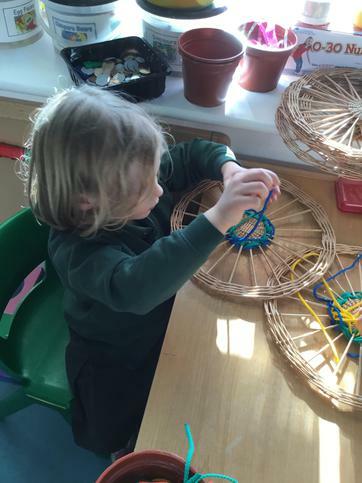 The children certainly enjoyed making them! The children have had a fantastic day on a Christmas outing to the Severn Valley Santa Express Train. When we arrived at the platform we could hear the toot of the whistle and were met by a cloud of steam. As it slowly cleared we saw a shiny, black steam train before us. The children loved the old fashioned carriages, the perfect place to enjoy our picnic. We were serenaded by Christmas elves singing Carols and even had a sneak peek at the animals in the West Midlands Safari parkas we passed. The excitement began to build as we keenly awaited a visit from Father Christmas himself with his huge sack of presents. He did not disappoint and some very happy, sleepy children returned on the coach at the end of the day! Congratulations to Wren Class for taking to the stage in the main hall, in front of an audience of the whole school, parents and friends. Several children had been a little worried about performing before the event but you never would have guessed it once the assembly began. It proved a very successful opportunity to build stage confidence before out Nativity in just three weeks time. 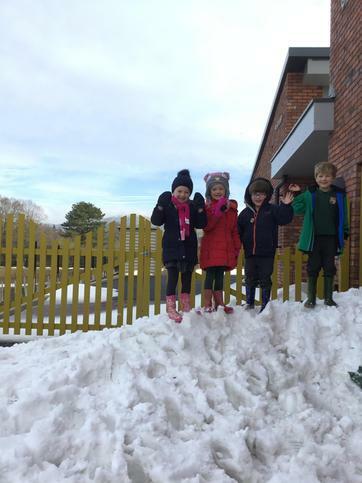 Three cheers for Wren Class! 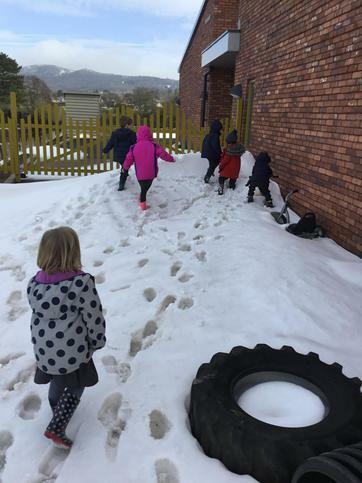 The children have been having a fantastic time becoming Polar Explorers in our icy Polar Explorer cabin. 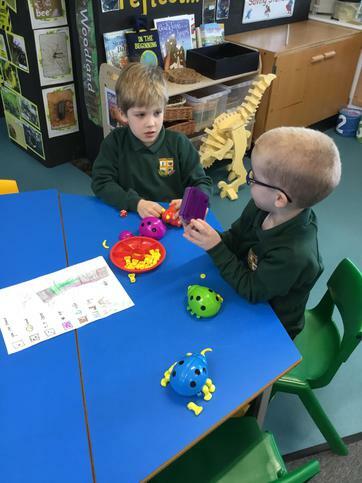 They have already worked out which animals are from the Arctic and Antarctic and even know where to find them on a world map! 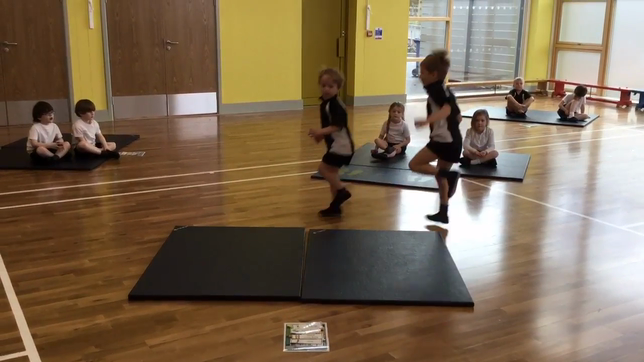 What a great start Wren Class! Wow, what a fantastic day. Each and every Superhero is exhausted after a very busy day - even the Super Staff! 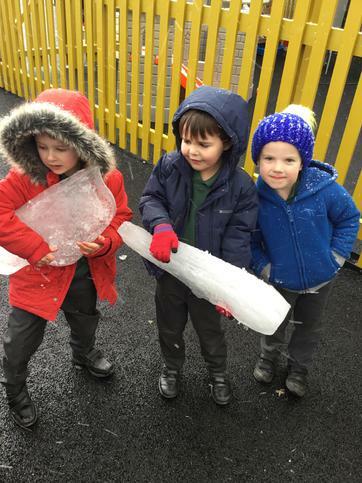 We've rescued innocent creatures who were frozen solid by the ice monster. We thought about what powers we could use to free them. 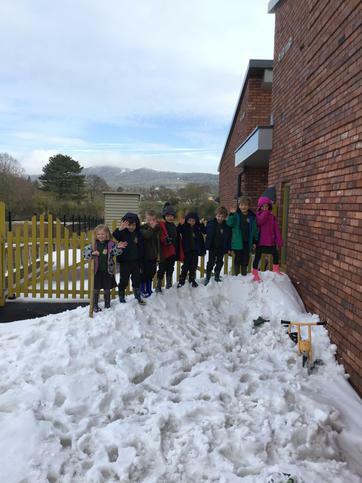 The children had some amazing ideas. Eventually, we decided to try freeing them from the ice with a hairdryer, a hammer, warming with our hands and jumping on the ice. The hammer proved to be the most successful but all the creatures were freed in the end. Phew - mission accomplished! The children also made a great picture, showing their super powers and their own model of Supertato (our current storybook hero). Finally, we made, rolled, cut out, baked and decorated our own biscuits. 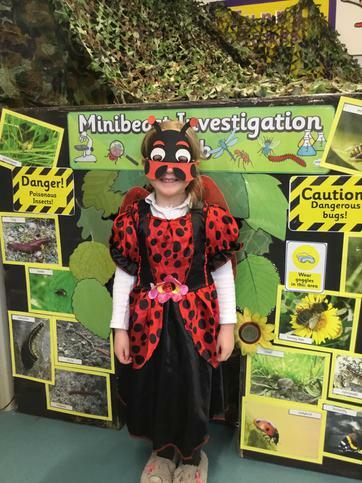 All in a days work for a Wren Superhero! 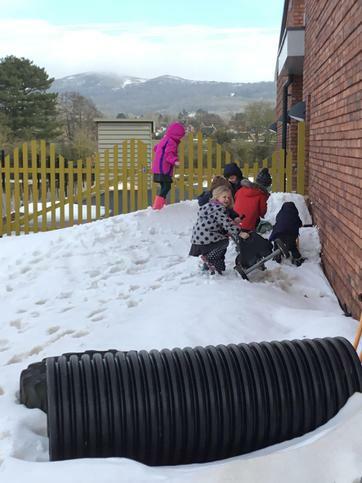 We had fun making searching for and making a trap for 'the evil pea', from our class story, 'Supertato'. We tried to work out a way to destroy an army of 'evil peas'! 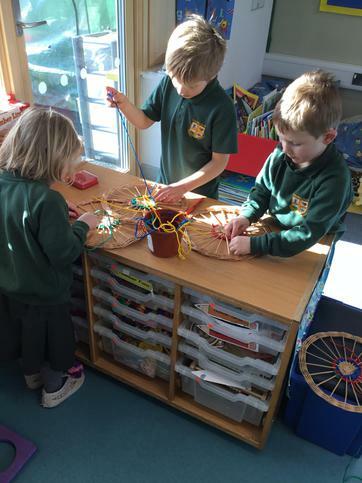 We worked together to make moon and star biscuits. Wren class have had a fantastic day visiting the Colwall apple orchard, an idyllic location nestled at the base of the Malvern Hills. We learned how to make apple juice and got to help with each stage of the production. The children were fascinated by all the machinery and especially enjoyed drinking juice which they had helped make. We were blessed with a beautiful, hot, sunshiny day so thoroughly enjoyed our wander round the orchard and lake, to our own version of 'We're going on a bear hunt', changed to 'We're going on an apple hunt'! Thanks to the parent helper volunteers and, of course, to the fabulous Orchard team for making us so welcome! 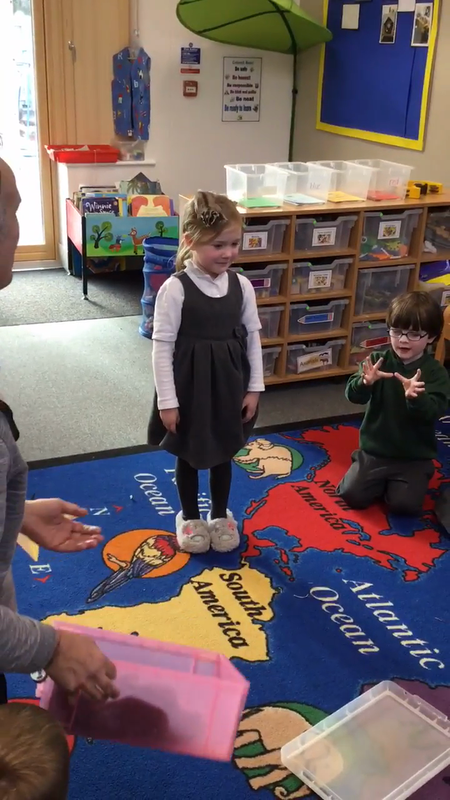 The children meet their new teacher! Now to learn juggling tricks of the trade. 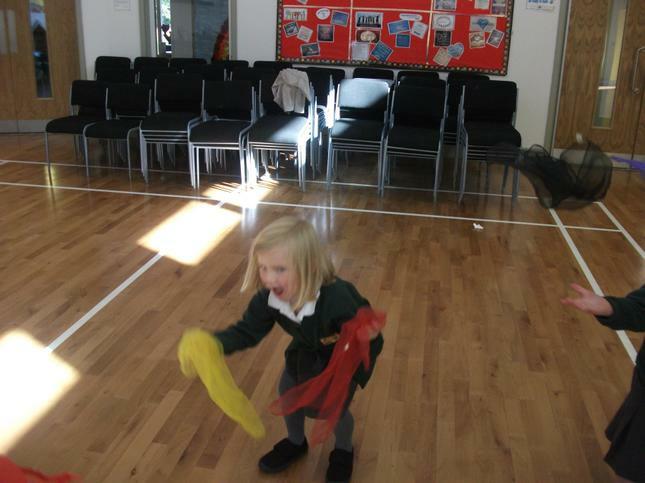 First the children have a go at juggling with scarves. Next they try their hand at spinning plates. 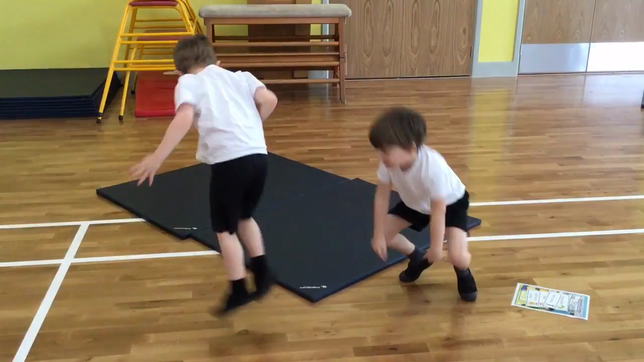 Finally the children flip the bowler hats! 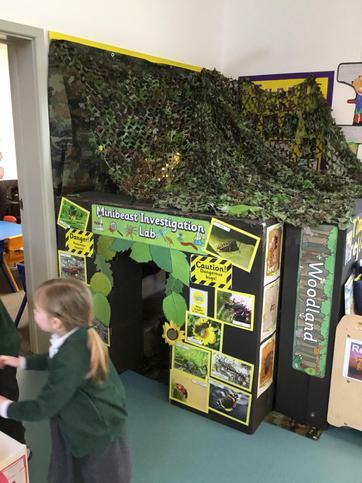 Spring 2- Wren class are introduced to our 'Minibeast and Mucky Finger' topic! Log fire cupcake decorating after a trip to the fire station! Almost as good as the real thing! Bat Fink the sugar glider! Wrens class meditation...Joshua was our most Relaxed Reflectioner this week! 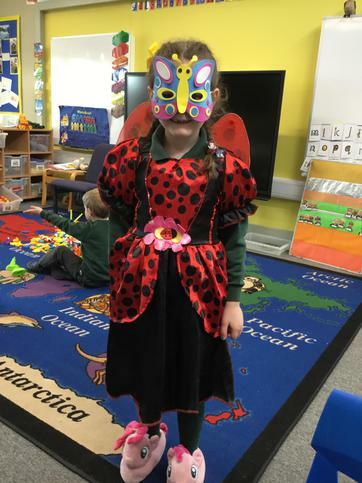 We Wrens like to dress up for our learning! 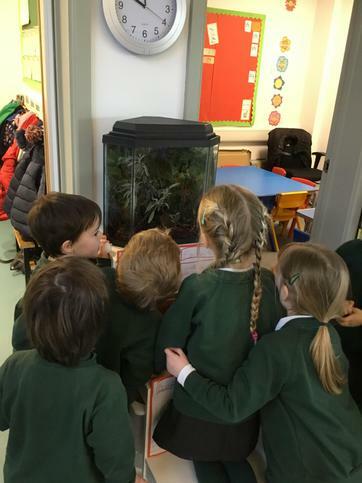 Wren class warmly welcome Jack the tortoise! 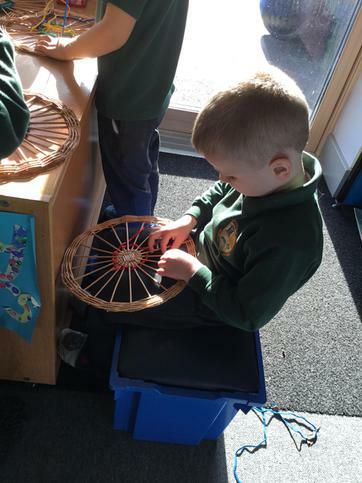 The first week in our beautiful new school! 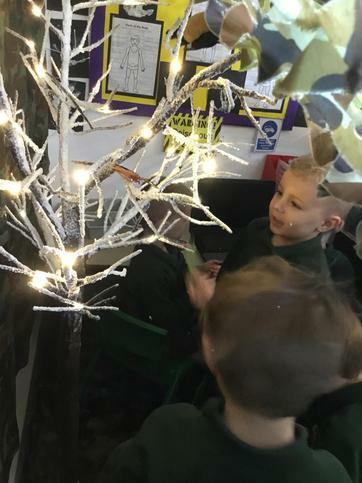 Our last Christmas at the old school! Commotion under the Ocean! 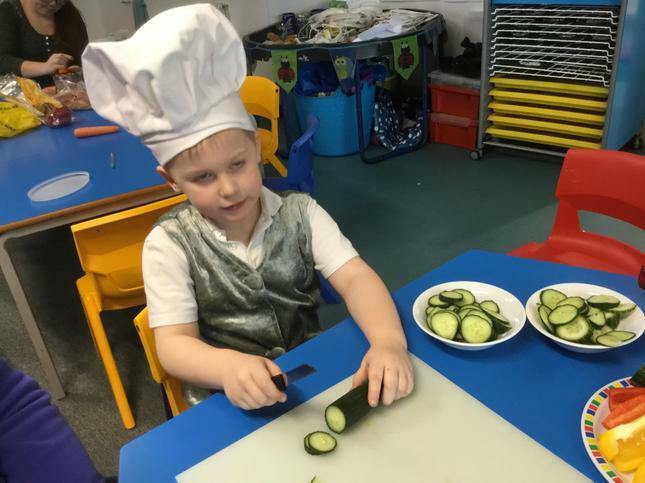 Children explore the new role play!